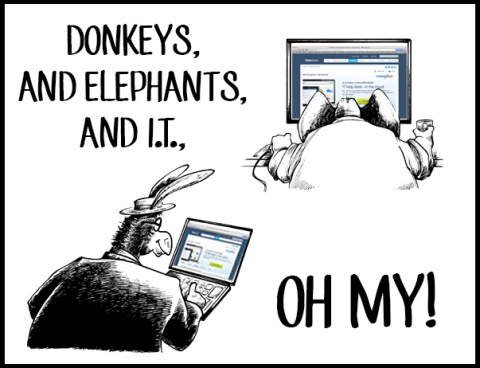 Donkeys and Elephants and IT, Oh My! HOUSTON--(BUSINESS WIRE)--Salesforce and BMC Software (NASDAQ: BMC) are hitting the road to help companies tap into the power of social and mobile cloud computing in a whole new way. The tour begins in Washington, D.C. with sessions on revolutionizing sales, service, innovation and connecting everything – even the U.S. House and Senate. Salesforce and BMC Software show the U.S. House and Senate the power of social and mobile cloud computing.